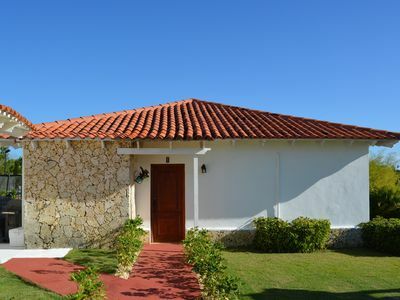 Casa Blanca is a four bedroom, golf front villa with beach views. 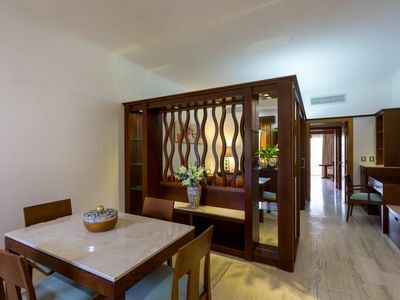 The villa has undergone a large renovation in 2016. 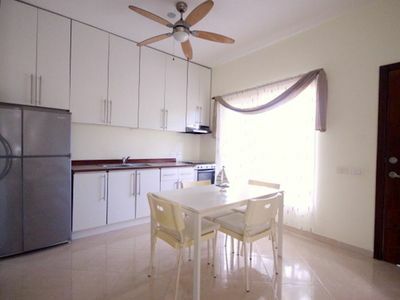 A complete renovation of all bathrooms, pool and Jacuzzi and completely new patio in Coral stone. 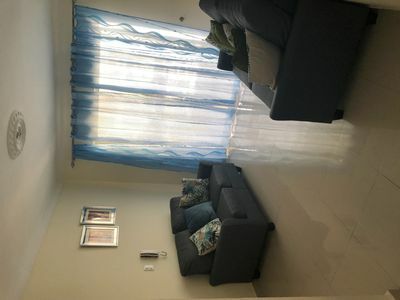 A total upgrade and refurnish has been done throughout the home. 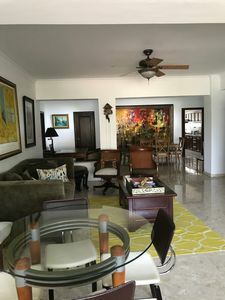 Casa Blanca is located within the luxury Punta Cana Resort & Club on the east coast of the Dominican Rep., home to no other than Oscar De La Renta, Julio Iglesias and Mikhail Baryshnikov. 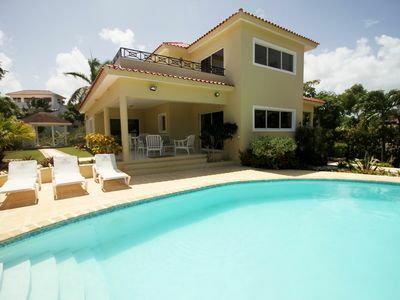 The villa overlooks white sandy beach and hole #7 of La Cana Golf Course designed by world-renowned P.B.Dye. 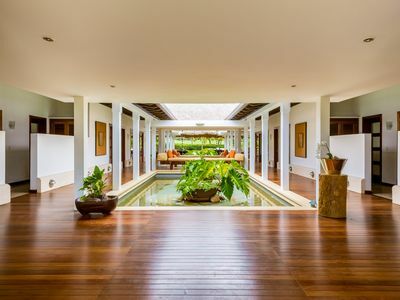 As entering this luxury villa you will be met by a wonderful volume of a living and dining area from where you can step out to a big terrace overlooking two pools and a Gazebo. 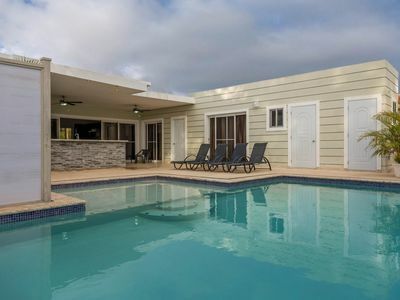 Imagine sitting at the Gazebo or in the little pool enjoying an afternoon cocktail drink looking at the golf course and the ocean as the sun sets behind you. It does not get much better than this. On the 1st. 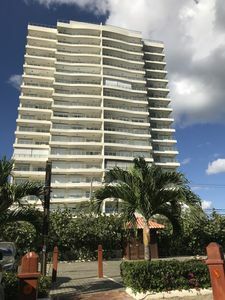 floor you will be met by another upstairs living area, bar, exquisite master bedroom, 2 guest rooms and a big terrace from where you can enjoy the view overlooking the ocean and golf course. 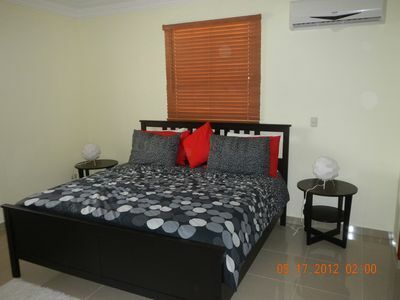 All Bedrooms are equipped with Cable TV, walk-in closets and air-conditioning throughout the villa. 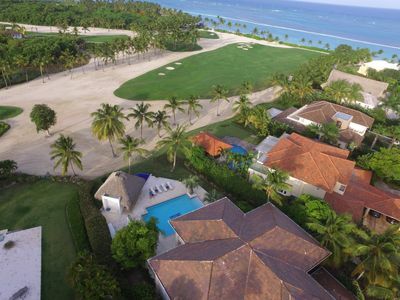 La Cana Golf Course: The magnificent ocean-front vistas of La Cana Golf Course will captivate the most discerning golf design connoisseurs, while its well-fortified greens challenge the game’s toughest competitors. After one round, avid enthusiast and casual player alike will understand why Golf Magazine has compared La Cana to Pebble Beach and declared it the “number one course in the Caribbean.” Designed by P. B. Dye, La Cana boasts fourteen ocean-view holes with four playing right on the water’s edge, and its state-of-the-art Seashore Paspalum grass allows for maintenance with minimal environmental impact. No serious player can take a golf vacation to the Caribbean without testing his or her chops on this stand-out course. Corales Golf Course: Start with a cliff-top setting overlooking the Caribbean Sea and add the land-sculpting skills of Tom Fazio, and you're almost guaranteed a compelling trophy course. Corales doesn't disappoint. With six holes along the water -- including the closing three -- Punta Cana Resort's newest layout has become a must-play since opening in April. 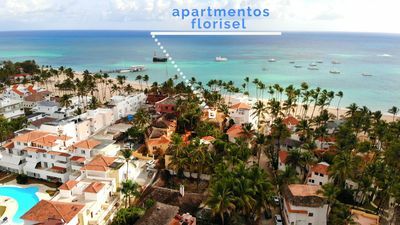 Accessible only to guests of the Punta Cana Resort and community residents (such as designer Oscar de la Renta and crooner Julio Iglesias), Corales is a beautiful beast. 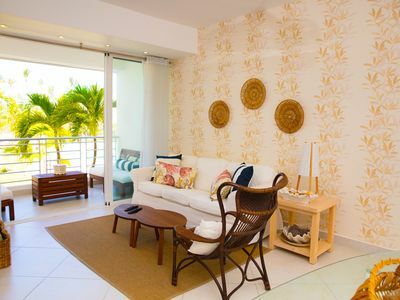 Buffeted by coastal breezes, the roomy layout is pure eye-candy from start to finish, with terrain that's blanketed with ponds, coconut palms, sand expanses and an array of stylish Fazio bunkers. Most unforgettable, however, is the finishing stretch of holes, collectively known as 'El Codo del Diablo,' (the Devil's Elbow). The muscular 461-yard 16th heads straight to the sea, while the 214-yard 17th edges it. But the showstopper is the 448-yard 18th. 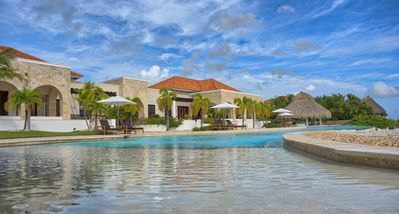 Punta Cana Resort & Club: Located on the Dominican Republic's eastern coast and ten short minutes away from PUNTA CANA International Airport, PUNTACANA Resort & Club offers the ultimate in luxury, service and adventure. 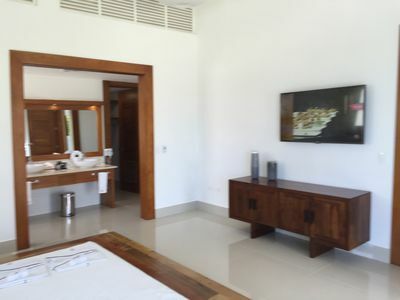 From the vibrant PUNTACANA Hotel or the exclusive Tortuga Bay, the only AAA Five Diamond hotel in the Dominican Republic, a secluded enclave with impeccable service and decor designed by Oscar de la Renta, travelers will find an array of amenities sure to satisfy even the most discriminating tastes. 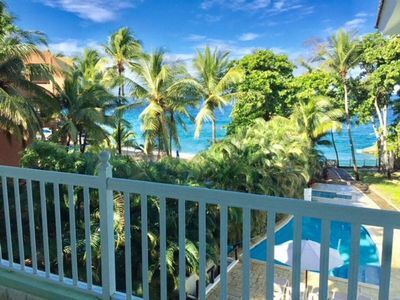 Also set within the 26 square miles of lush Caribbean landscape is an elite residential community: The Estates at PUNTACANA Resort & Club. 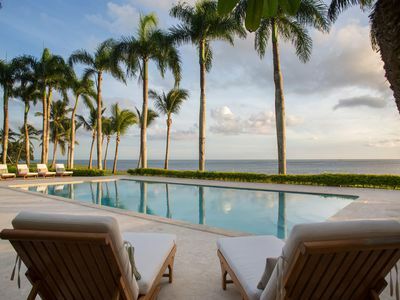 Seamlessly incorporated into its paradisiacal setting, the Estates is comprised of four private neighborhoods, including Tortuga Bay, Hacienda, Arrecife and the most exclusive community, Corales, which is home to Oscar de la Renta, Julio Iglesias, and Mikhail Baryshnikov, among many other notables. 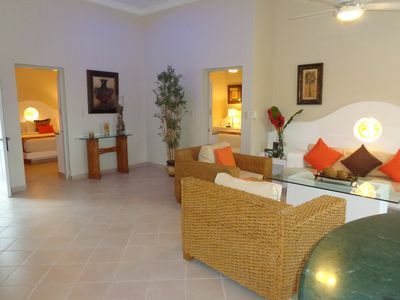 2 Bedroom Crown Penthouse- Lifestyle Resort, Chairman's Circle, VIP Gold Bands! A COSY HAVEN IN THE TROPICS!